Department of Art | FSU Art BFA '13 Naomi Franquiz's Illustrations in Image Comics' "Mice Templar IV: Legends"
Home » News » FSU Art BFA '13 Naomi Franquiz's Illustrations in Image Comics' "Mice Templar IV: Legends"
FSU Art BFA '13 Naomi Franquiz's Illustrations in Image Comics' "Mice Templar IV: Legends"
Image Comics publishes Issue #9 of “Mice Templar IV: Legends” with a special article, illustrated by FSU BFA graduate, Naomi Franquiz. “Mice Templar” is written by two-time Harvey Award winner, Bryan J. L. Glass, and published by the creator-owned comic book company, Image Comics. 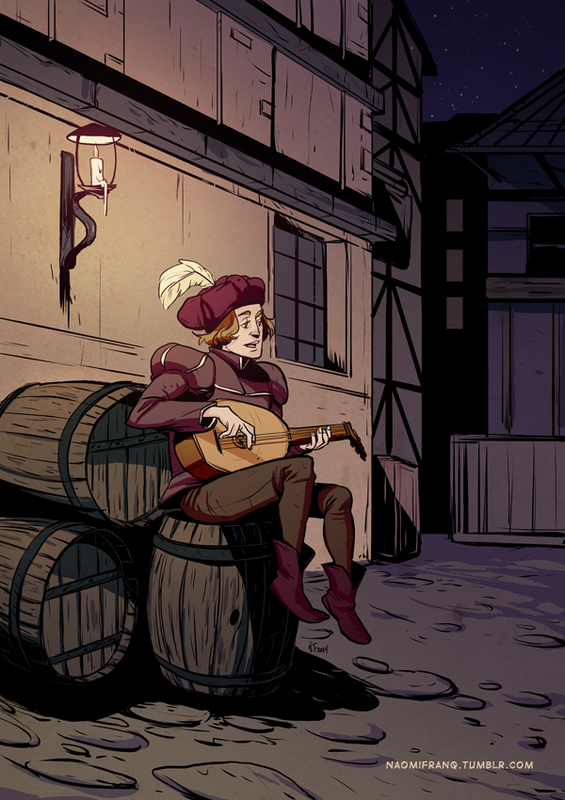 The article published at the of the issue discusses origins, myths, and legends of medieval inspirations and history, with Issue #9 specifically focusing on medieval bards and minstrels. Issue #9 was released April 23rd, 2014, and is Naomi’s first serialized publication with Image Comics. It marks her introduction as an illustrator in the large-scale comic book industry. “Mice Templar IV: Legend” is available in printed trade and digital copy through the Image Comics website.